Charley is the mid-size accent chair that’ll prove its worth. 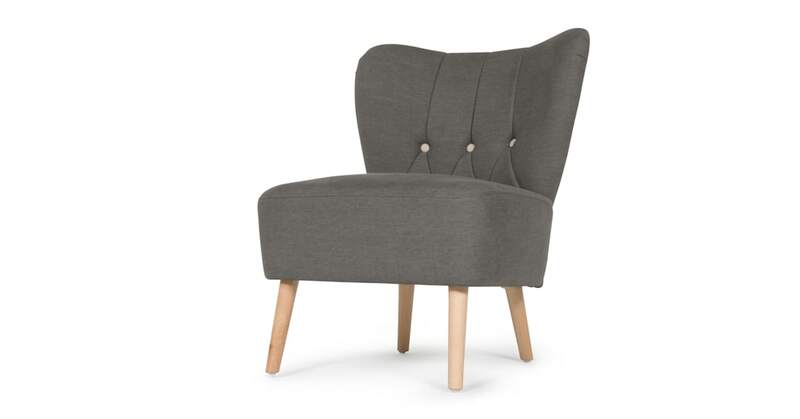 Use it as a classic cocktail chair, a bedroom chair to fling your clothes on or take a seat while you slip on your shoes. The gently curved back, rounded square block seat and angled oak legs - Charley is irresistible. We love the seam detailing and of course, the buttons. It’s perfect.